Antarctica is a land like no other. Covering almost one-tenth of the Earth’s surface, it’s one bucket-list destination never to be missed. Nowhere else on Earth has what Antarctica can offer—the largest concentration of marine wildlife in the world, dramatic scenery, massive icebergs and glaciers. Since you are venturing where few ever do (30,000 tourists per year), you will want to make sure your experience is well-planned and well-suited to your travel preferences. Our agents are careful in ensuring that we match client with company, taking close looks at crew expertise, ship features, expedition activity, and overall quality of experience. Lars-Eric Lindblad founded Lindblad Expeditions in the late 1950’s, combining his passion for uncharted travel and eco-tourism. The company is dedicated to finding creative ways to explore areas already mapped. Trained naturalists onboard strive to connect their guests with amazing and incredible places through adventure and education. Their partnership with like-minded National Geographic experts on the top of their field allows them to lead the most experienced Ice Team on the National Geographic Explorer. Your ship will be escorted by a team of veteran Naturalists, who will take you on hikes through the icy wild, kayaking in coves and around ice floes, and zodiac cruising among icebergs. Travelers choose Lindblad because of the on-ship innovative technology, all-inclusive rates, up close and personal experiences, informal atmosphere, hand-crafted itineraries and ecologically minded experts. Their partnership with like-minded National Geographic experts in the peak of their field certainly doesn’t hurt! Hurtigruten offers a step up in exploration travel, combining luxury and expedition. Sail in the wake of historical explorers in the technologically advanced ship MS Fram, and spot the millions of penguins, thousands of seals, and pods of whales that inhabit the waters and shores during the austral summer. The ship’s expedition team will give a series of lectures as you cross the Drake Passage. Each voyage is unique, and the final choice of landings will be made in the course of the sailing. Included with each booking are the cabin, full board meals, flights between Ushuaia and Buenos Aires, and the excursion to Ushuaia National Park. 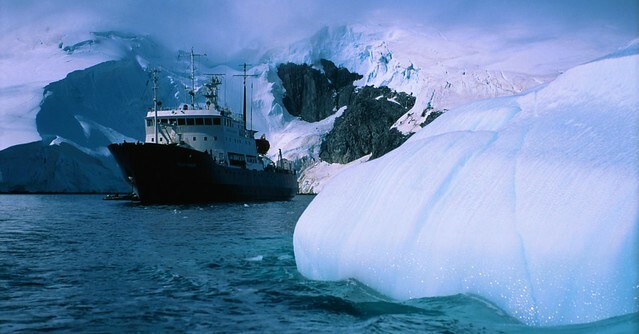 G Adventures has a number of itineraries that delve into the heart of Antarctica’s wilderness and history. They have expeditions from 11-days to intensive 23-days, all of which include: meals, zodiac excursions with expert expedition teams, educational programs, transfers, expert guides and accommodation on board the MS Expedition. Venture out to Shackleton’s final resting place, and sail through the penguin rookeries and seal colonies of Antarctica. Some itineraries even include South Georgia and the Falkland Islands in the sailing, and you can even add on Buenos Aires or Iguassu Falls bookends to your itinerary. G Adventures also supplies waterproof boots for all passengers, and a special Canada Goose expedition jacket for each guest in a Category 5 suite! General Tours offers a 15-day itinerary for small, intimate groups venturing deep through Antarctica. The ship’s unique open bridge policy allows passengers to join the ship’s officers on the bridge and learn about navigation, whale watching, enjoying a front-row-seat view of icebergs and snow-capped mountains. Trace the 1901-1903 route of the Swedish Antarctic Expedition, visit Hope Bay and Snow Hill Island, and sail across the peninsula’s remote eastern coast into the remote Weddell Sea. Enrich your sail with insightful lectures on the on board Ship Naturalist. This itinerary includes nights in Buenos Aires and Tierra del Fuego. The medium-sized Silver Explorer was especially designed by Silversea Cruises to navigate the waters of remote destinations. A strengthened hull with an ice-class notation for passenger vessels allows the ship to push through ice floes with ease. An expert Expedition Team will accompany passengers via zodiac ships on to the dramatic continent of Antarctica. 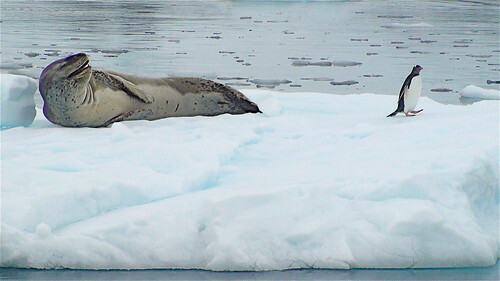 Itineraries run from 10 to 22 days, and explore Antarctica as well as the Falkland Islands, South Georgia, South Shetlands, and Tristan da Cunha. Quark Expeditions is based in Seattle. Since 1991 Quark has specialized in polar expeditions, and their ships are specially designed ice-strengthened vessels made for high latitude cruising. They are unique in that they have the largest and most diverse fleet of passenger ships, and deliver more departures and itineraries than any other company. They have itineraries that run from 8 days to as long as a month! 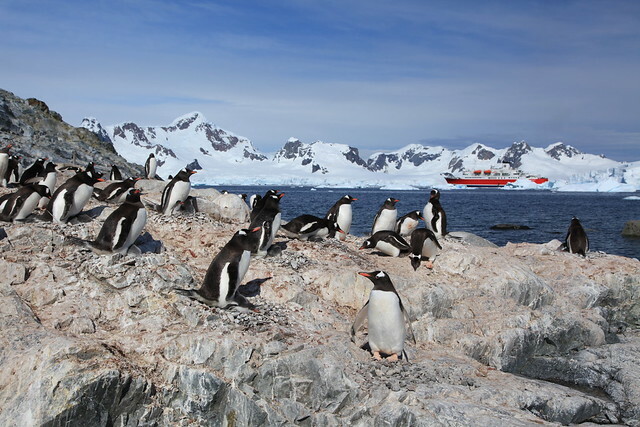 Explore the Antarctic Peninsula, visit research stations on Adelaide Island, hike up glaciers and visit penguin rookeries; or see the incredible wildlife of South Georgia, often referred to as “the Galapagos of the South.” Learn about the continent’s unique geology, history and wildlife from an expert team. It’s never too early to book a sail to Antarctica. Ships and space are limited. Call us now to find out more about a particular sailing or vendor that has one on offer. 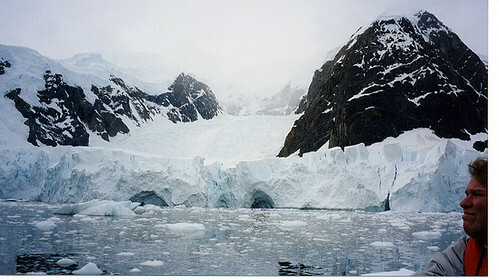 WIT Agent Christina has traveled to Antarctica and can give you a firsthand account. Call us at 503.224.0180 or email info@wittravel.com.